I want this dish to take you to my childhood. VMinst a couple times a week we got this dish. It is also suitable as a meze or tapas. 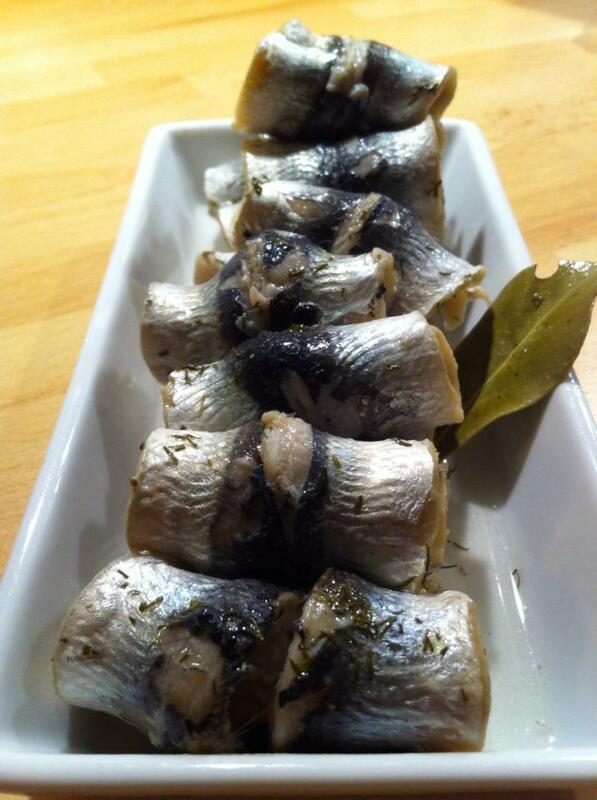 Can you not get hold of herring, which is very difficult even in Sweden, if you live wrong, so it works with other small fish such as sardines. Unfortunately, this type of cooking has become unfashionable. Why I do not understand. Maybe it takes some time and not for the microwave. Sprinkle with salt and dill on the fish flesh side. Roll up the skin side outwards. Add rollers tightly in a low pan. Boil the ingredients for the law. Pour it hot over the fish. Cover the pan and simmer for about 5 minutes. 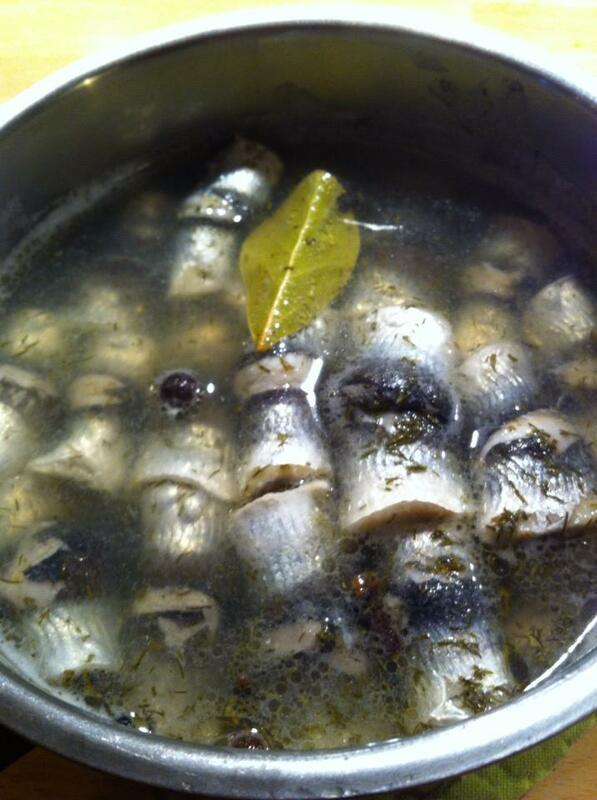 Let herring cool in the liquor, if it is to be eaten cold. Preferably allow the fish rest for a few hours in the law before serving. This looks delicious – please share more Swedish recipes! I just ate, but suddenly I feel somewhat hungry again………… Thanks for letting me camp out in your blog for a little while today. I had a great time and tried to leave my campsite as good as when I arrived. I’ll be back!